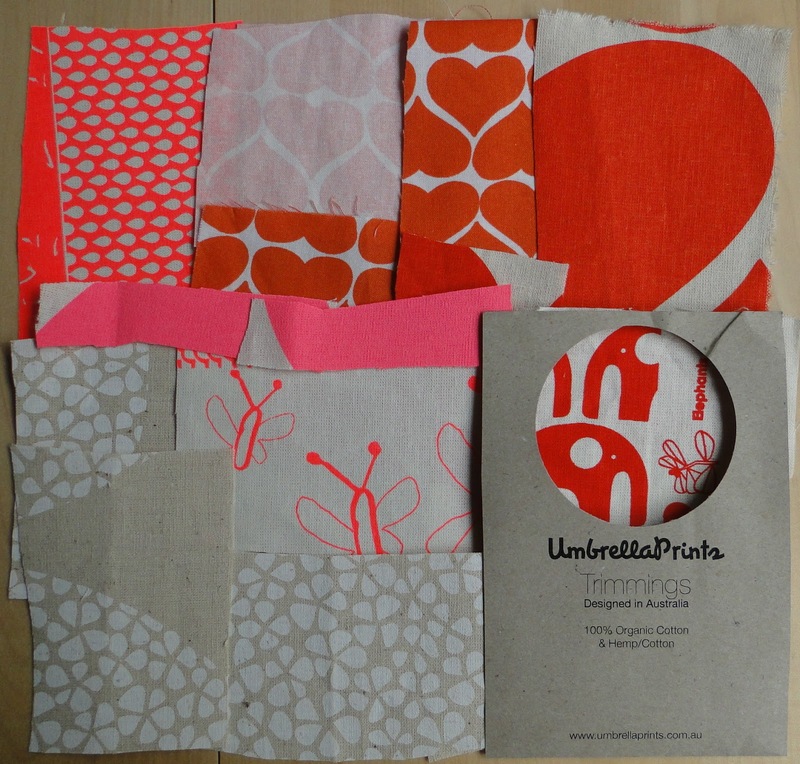 If you’ve been following my blog you will know by now that I have entered the 2013 Umbrella Prints Trimmings Competition. Twice. I have already used two trimmings packs to make a reversible bucket hat for my youngest son, and a second to make myself bag and accessories. 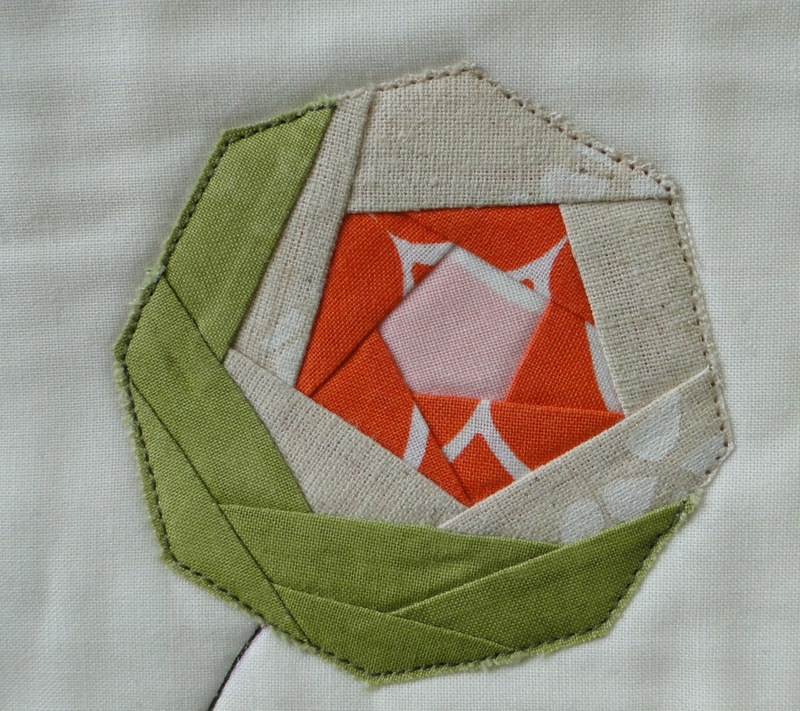 Now I am going to show you what I made with a third pack which was mostly filled with pink and orange fabrics (sorry about the photos, it’s a horribly dull day here today). When I opened this packet I immediately thought of my QAYG flowers. I made two using several of the trimmings in the pack, along with a few green scraps I had in my scrap bag. I decided I would use these flowers for an appliquéd wall hanging so went on to fussy cut out a butterfly from one of the trimmings and some elephants (well one whole elephant and parts of two others) from another. With the addition of some leaves, again cut from my scrap bag greens, I set the mini elephants to playing hide and seek. 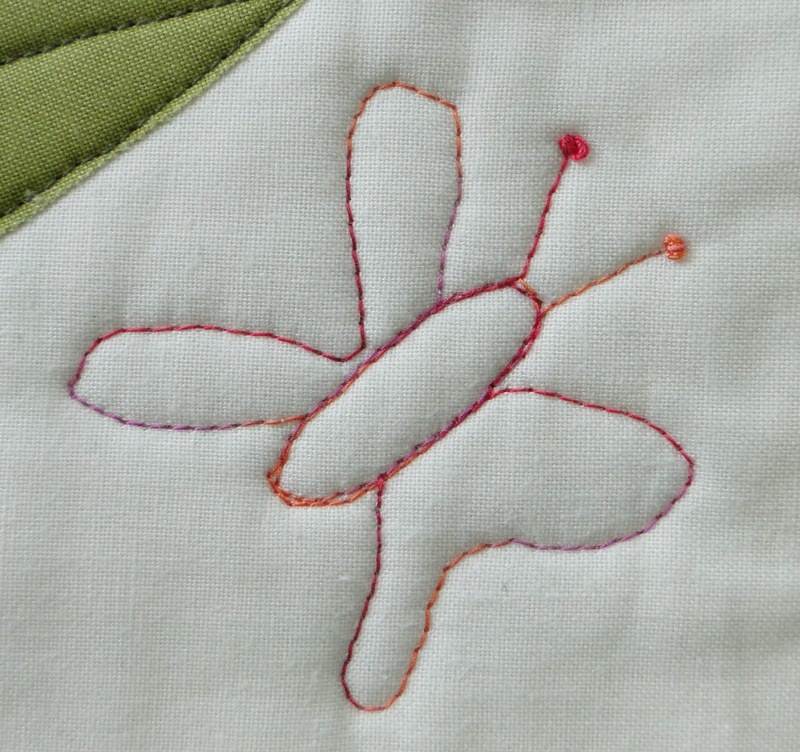 I stitched a few butterflies fluttering around the flowers, first sketching them out in the style of the one I had fussy cut from the trimmings. The whole wall hanging, which I have called Mini Elephant Hide and Seek, is bound in some navy cotton spliced through with the remaining trimmings. Although I prefer diagonal seams when piecing my binding most of the trimmings I had left were just too small to do this so I stuck to straight seams. 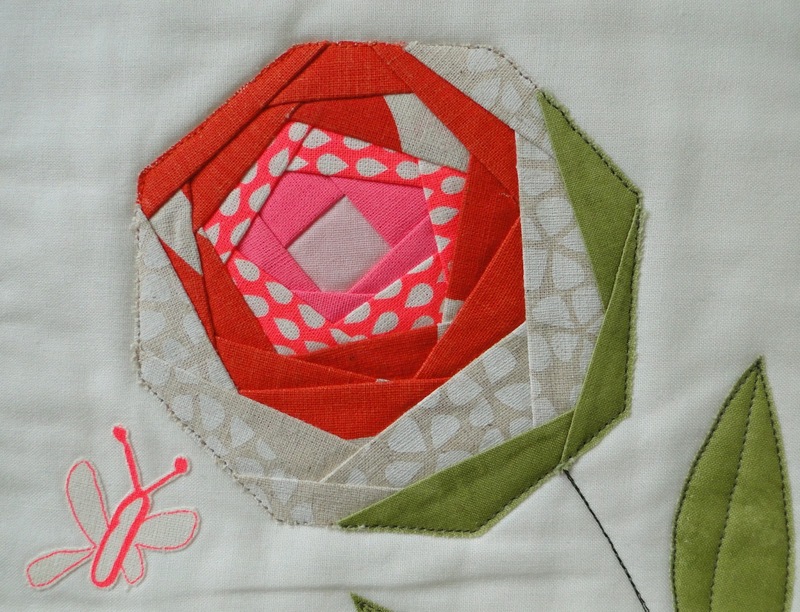 Tomorrow, May 31st, all of the entries will be pinned to the Umbrella Prints Trimmings Competition Pinterest board. From June 1st-5th you can vote for your favourite, or favourites, by simply pinning them. I’m sure there will be plenty of wonderful entries so be sure to go and check it out. 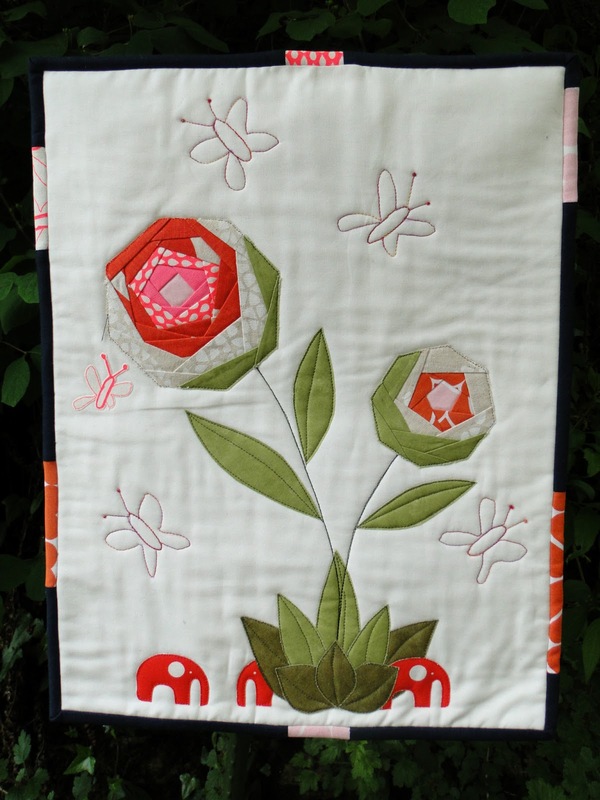 Your wall hanging is gorgeous! Good luck in the competition. Love how you have done the flowers, and the elephants are so cute!